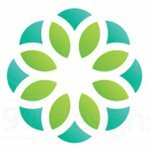 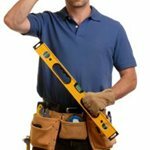 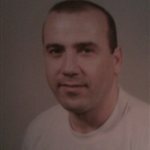 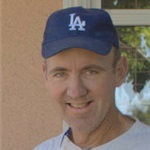 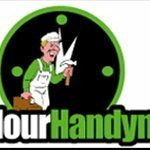 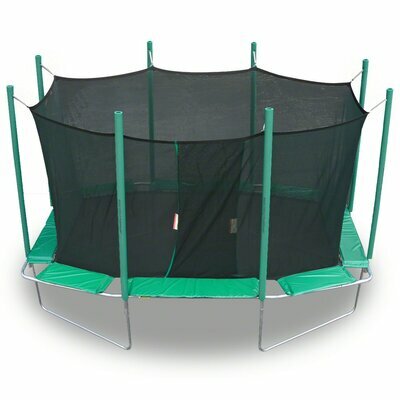 How much does a trampoline and installation cost in Santa Ana, CA? 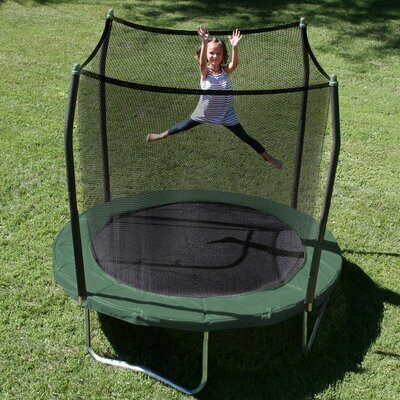 The Upper Bounce 14' Round Trampoline ensures fun and fitness for the kids at home. 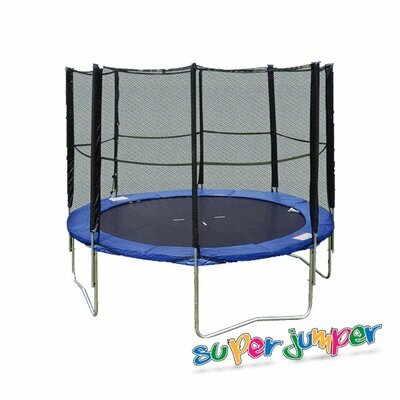 With a black, spacious polypropylene jump surface, this trampoline ensures hours of bouncing fun. 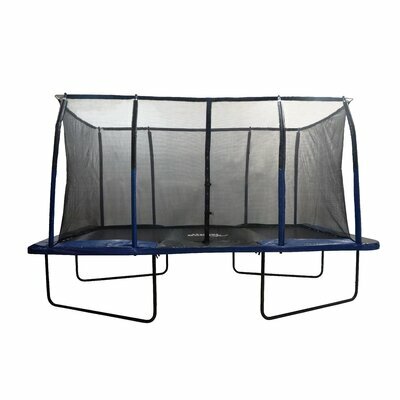 This trampoline has a sturdy steel frame, which ensures years of functionality and durability. 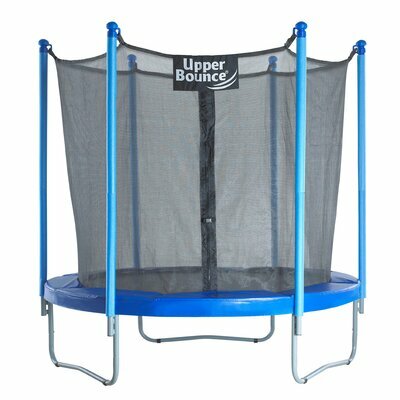 It includes 72 springs that provide excellent bouncing fun. 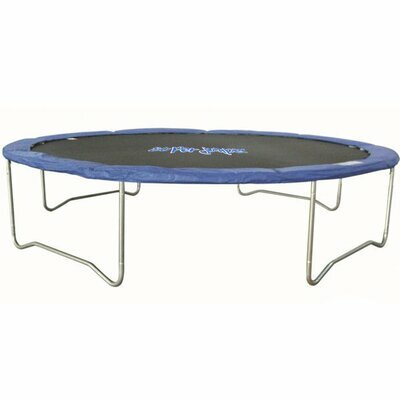 The blue safety pad prevents accidental falls. 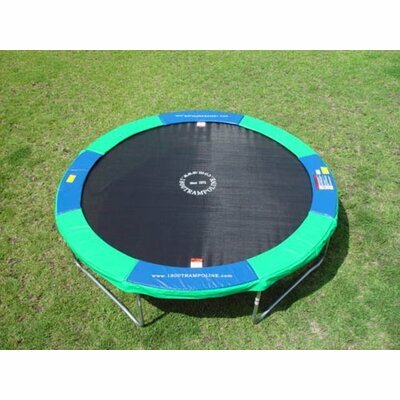 This trampoline is fade resistant and rust resistant, which makes it suitable for outdoor use. 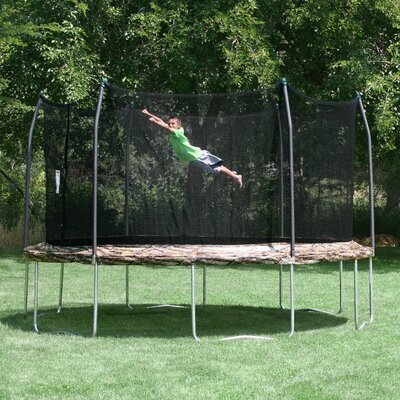 The 14' Round Trampoline by Upper Bounce requires assembly. 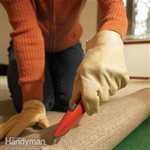 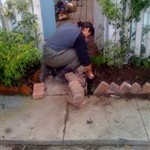 It can be done with the help of a spring hook tool. 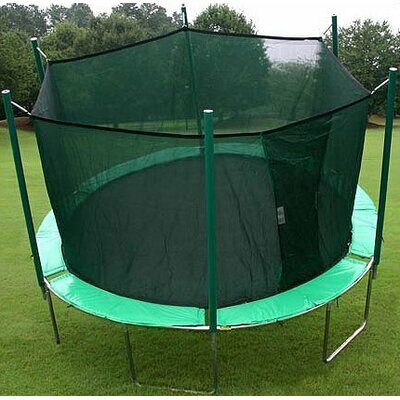 This trampoline has a weight limit of 330 pounds. 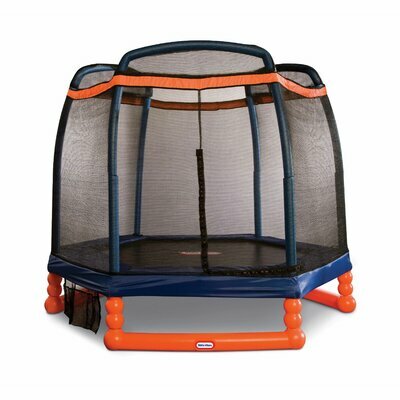 The Skywalker Trampolines Square Trampoline has loads of room for jumping with its square shape. 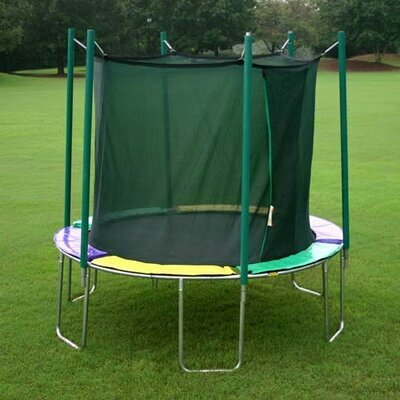 The square shape provides more jumping surface than that of the traditional 14' or even 15' round trampoline and is loaded with safety features. 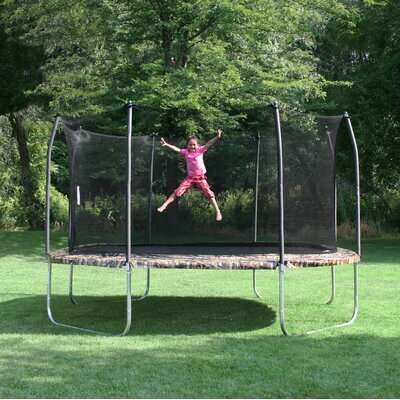 The trampoline frame construction uses a heavy gauged steel that is galvanized for rust resistance. 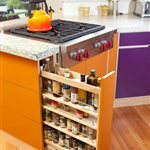 Specially designed t-sockets are used at each frame and enclosure joint, creating a uni-bodied frame. 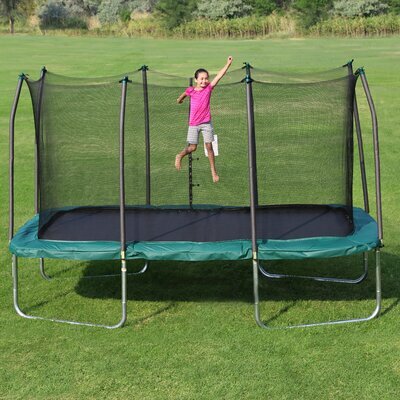 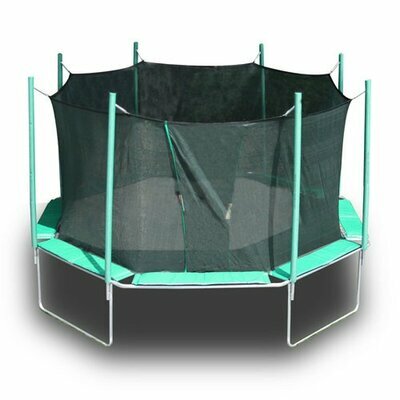 This extra strong trampoline also features an enclosure net design that interlocks the enclosure netting directly to the jump mat at each v-ring using a button-hole feature which eliminates gaps with no ropes to thread. 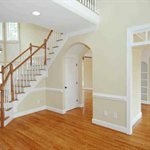 All materials are made to be durable with UV resistant materials for longevity.